The NEW Internet Security is the most awarded spyware remover available and is recommended by experts and editors around the world as the best Anti-Spyware software. Its world-leading Spyware protection detects removes and blocks the nastiest Spyware adware Trojan horses keyloggers Spyware cookies adbots spybots browser hijackers (BHO) rootkits phishing and other malware attacks. 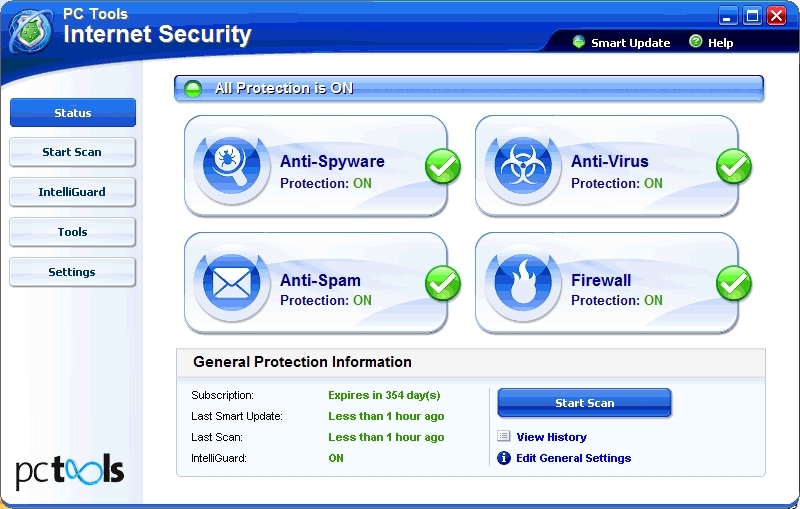 The powerful OnGuard feature provides real-time protection and deploys many Guards that actively monitor and protect the PC from Spyware attacks including immunization keylogger protection malicious processes site protection popup blocking browser monitor and many more. 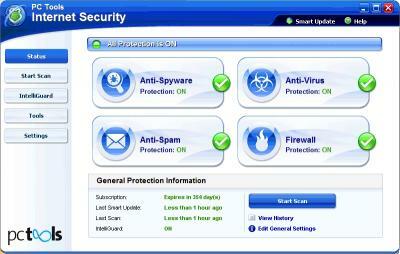 Additionally it actively protects web browsing with a built-in popup blocker cookie guard and malicious site protection. Spyware Doctor is easy-to-use and low on PC resources and youll appreciate the super fast scanning speed which is delivered by multiple specialized scanners. This unique architecture allows Spyware Doctor to outperform other anti-spyware solutions as each scanner specializes in the identification of specific traits of infections for more effective detection and removal. Almost any function of Spyware Doctor can be updated through the Smart Update process and it is constantly being improved and extended to counteract the most aggressive Spyware threats. Registered users get free updates upgrades and new versions for a full year so you dont need to worry about being stuck with outdated technology. Backed by FREE 247 expert customer support its reliable effective and highly RECOMMENDED software. So protect your PC now from spyware adware keyloggers Trojans and other programs we recommend you get Internet Security today its a FREE DOWNLOAD.